In November 2016 I was lucky enough to spend time travelling in Laos. Whilst I was there I visited some stunning locations, both far flung and on the tourist trails. 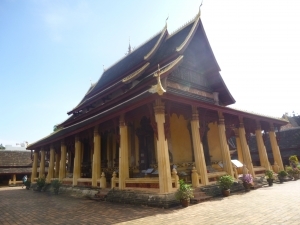 My Penultimate stop was Vientiane, and it is somewhere which, for me, was full of surprises! I have visited large thriving cities in Asia before – Bangkok, Yangon, Manila, Colombo to name but a few – and have loved the buzz in all of them. 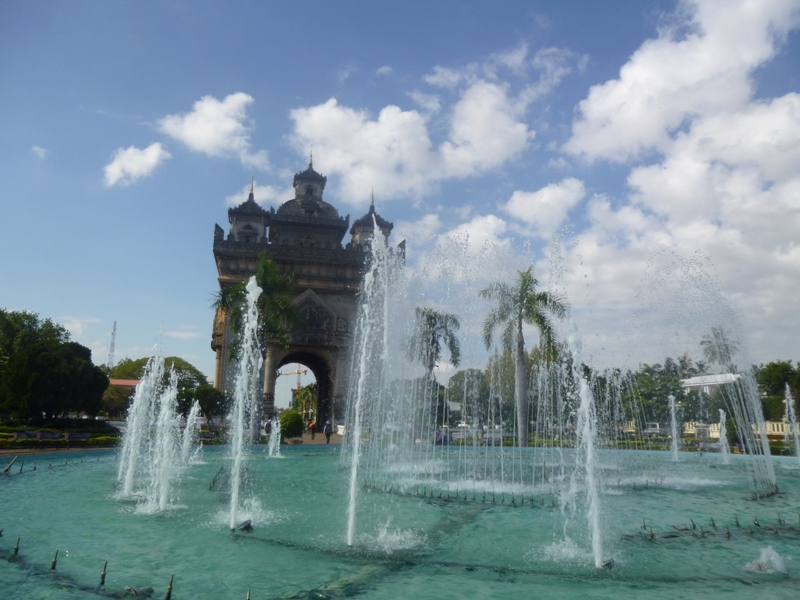 I was impressed and pleased to see that Vientiane was no different. ere tucking into delicious-looking cakes and supping coffee at sidewalk cafes everywhere – a hangover from the French colonial period. Part of the appeal of Vientiane is its higgledy piggledy set up. There is no pedestrianised centre like in many other large cities, and the sights are cluttered around on various streets around the Mekong. The presidential palace towers glittering in the sunshine, showing off all that many people in the country do not have. Buddhist temples soar to the skies, with golden stupas, beautiful chanting and restful grounds. Amusingly, a Lao replica of the Champs Elysees with its own Arc de Triomphe and Tuileries Garden is smack bang in the middle of all the traffic. The views from the top are a great way to get to know the city. Vientiane is a growing capital for culture and food, with the number of high quality restaurants is absolutely staggering. Night markets can be found throughout the city, and if you are an early riser you can enjoy seeing the freshly-caught wares at the morning market. 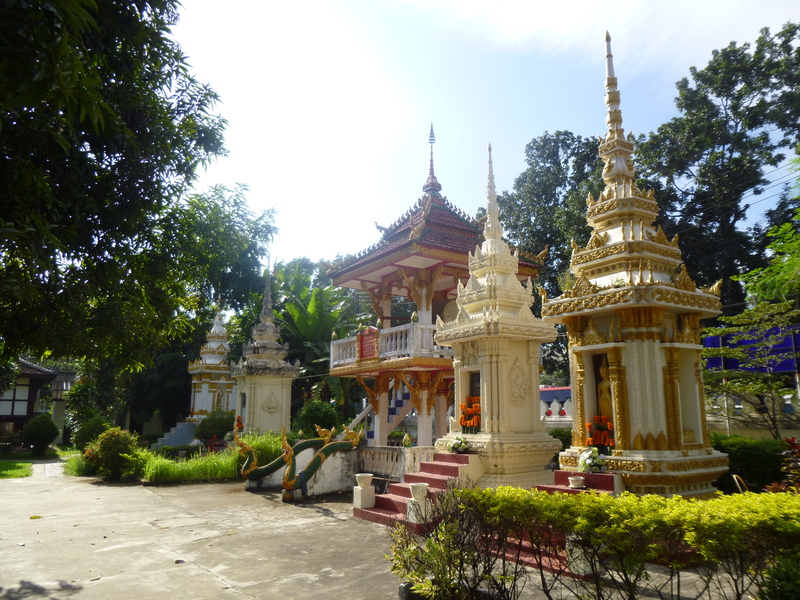 Whilst I loved my time in Vientiane, the best was next to come. I was heading two hours from the city to visit the first and only wildlife sanctuary in Laos, and I could not wait. Next Post Work and Travel in New Zealand !